When the current Mercedes-Benz S-Class came out, the world rushed to call it all sorts of metaphors and while the car surely deserves them all, it’s just what people do whenever something new comes out after about seven years. It’s the same with the 2016 BMW 7 Series, that is bringing a whole new set of technologies to the table, to take over from where the previous model left us at. The current life cycle for cars probably won’t be able to keep it up for long. If back in the 1990s and early 2000s manufacturers could keep a certain car in production for about seven years without people complaining, the rate at which technology is evolving is forcing car makers to step up their game. The differences between old and new cars are getting bigger every day. Furthermore, what makes a car old is changing at a rapid pace as well. You can take a look at a 2010 model and think it’s ancient today, something that wouldn’t have happened with two cars with a similar age difference between them, not long ago. 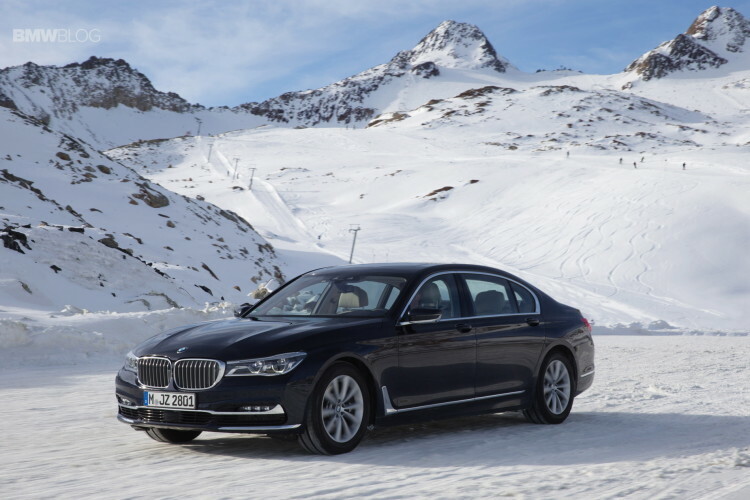 And it’s all due to technology, something the new 7 Series knows a thing or two about. According to BMW, their new flagship is celebrating 25 premieres on the technology front for the brand and yet another 13 for the auto industry as a whole. The guys from Autoblog took one for a spin and I think they were impressed with the tech they found both inside the car and outside. Their tester even appeared to be fitted with the remote control parking feature that was illegal in the US until not long ago. Apart from that, you could also spot the lounge executive seating package for the rear passengers and gesture control among others. Truth be told, the guys did a very good job at going through almost every single bit of new tech brought to the table by the new 7 Series and they seemed to be impressed, ending up calling it a “technological marvel on wheels”. While we totally agree, the question that remains is: for how long will it be able to hold this title?